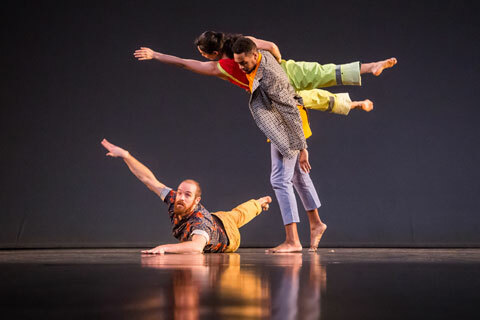 February 20, 2019 7:30 – 9 p.m.
Movement IS necessary and during our World Social Justice Day workshop, we'll kinesthetically explore movement as social and personal commentary. Together we’ll experience how our bodies can be empathic, wise, honest, humane. By melding gesture and safe touch with text assignments and spoken word, we will create our own world of “Kinetic Diplomacy.” And, we will have fun! Please come in comfortable clothing, ready to move a little! The World Day of Social Justice was founded by the United Nations in 2007. From the UN's website, "Social justice is an underlying principle for peaceful and prosperous coexistence within and among nations. We uphold the principles of social justice when we promote gender equality or the rights of indigenous peoples and migrants. We advance social justice when we remove barriers that people face because of gender, age, race, ethnicity, religion, culture or disability." See David Dorfman Dance perform at Nazareth College on February 21.